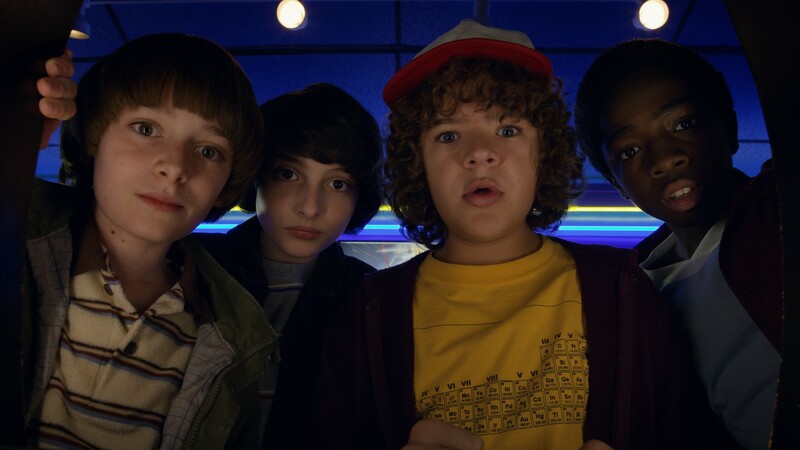 We may not know too much about Stranger Things season three, which is slated to return to Netflix in summer 2019, but thanks to a brief teaser trailer released on the streaming giant’s social media on Sunday, we at least know episode titles for the season. From this list, we’re now able to get a better idea of what to expect in the coming season, and when pieced together with other tidbits of information that have been dropped since filming began earlier this year, it becomes clear we have some exciting things headed our way next summer. But also, do we need to be worried about what’s to come in episodes like “The Case of the Missing Lifeguard” and “The Bite”? Those sound like some pretty tense episodes, TBH. In November, series star Millie Bobby Brown posted an emotional Instagram Story, per People, on the last day of filming season three. Two months earlier, she was photographed by paparazzi filming some water scenes in Malibu separate from the rest of the cast in Atlanta, per Refinery 29. As the outlet notes, the cliff where she was photographed looks similar to the quarry in season one, which just so happens to contain a door to the Upside Down. Is Eleven leaving after season three? Will we ever recover if she does? Whatever happens at Starcourt Mall or elsewhere in Hawkins next summer, this is what we know for sure: It’s going to be epic and emotional — and we are so ready.